National Association of Conservation Districts Call for Soil Champions! The NACD is seeking to create a Soil Health Champions Network of farmers, ranchers, woodland managers, and other landowners across the country doing their part to promote soil health in their communities. Through various outreach activities conducted jointly by NACD, State Associations, Local Districts and individual Soil Health Champions, the Soil Health Champions Network will raise awareness of, and increase the adoption of, soil health systems. We at the Washington State Soil Health Committee want to make sure our own Soil Health Champions here in Washington are strongly represented! 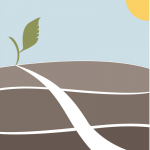 If you feel like you or someone you know might qualify for inclusion in the Soil Health Champions Network, please contact the WA State Soil Health Committee at info@soilhealthwa.org! For more details on this NACD project, please see the attached informational flyer. 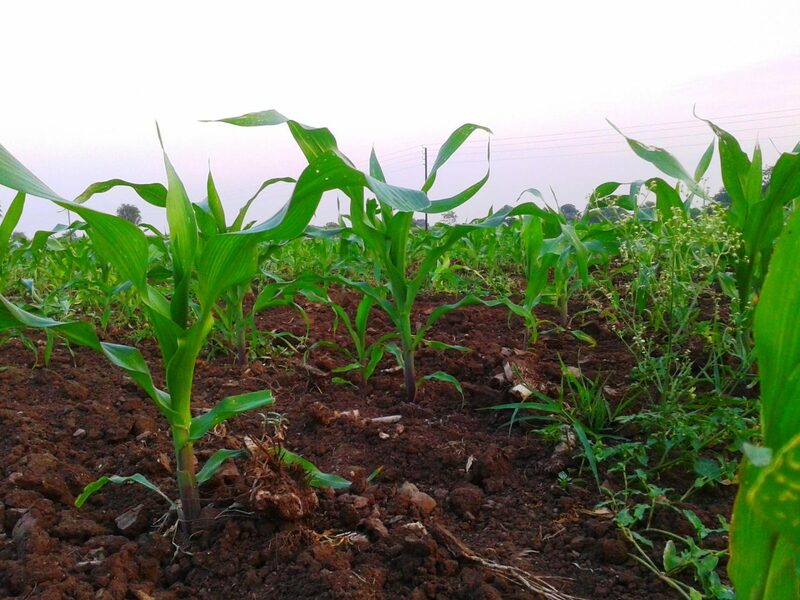 A revolution in “regenerative agriculture” has begun and is the focus of this article by Dr. Bianca Moebius-Clune of USDA and Justin Adams, Global Director of Lands at the Nature Conservancy. They explain why improvements in soil health are the key to feeding our growing global population in our warming world. One of the few bright spots in global climate change picture is the magical role of mushrooms. Not magic mushrooms, but every form of fungi. Fungi generate humus soils across the Earth. They carry nutrients between plants underground. They don’t like to rot, so they create antibiotics, which we use to cure human infections. In a cubic inch of soil, there can be more than eight miles of mushroom mycelium. Together, across the planet, mycelium is, as Paul Stamets identifies it, the Earth’s natural Internet. The largest living organism on the planet is a mycelium, a mycelium mat 2,200 acres in size in Eastern Oregon. When other things die off, for example after the asteroid extinction of dinosaurs, the fungi survived. They can clean up our toxic waste sites, convert extra carbon into edible mushrooms, and basically remanufacture hydrocarbons into carbohydrates: fungal sugars. Certain mushrooms act as insecticides. Others kill flu viruses. They may be able to produce an organic fuel, which could reduce our production of harmful greenhouses gases. More mushroom miracles are on the way as scientists around the world test their powers. 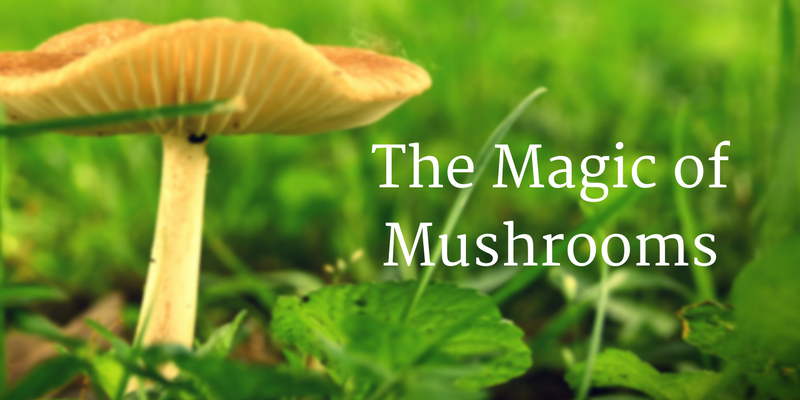 For more information on the magic and majesty of mushrooms, check out this TedTalk by mycologist Paul Statmets! The final project awarded a Soil Health Committee grant is in the San Juan Conservation District, chosen to work on demonstrating the benefits of biochar in drylands as well as irrigated agriculture. Biochar holds many possibilities, from increased nutrient retention to carbon sequestration in soil and improvement of air quality. As biochar is made from woody biomass, the success of this project could incentivize forest restoration, providing a market for the woody biomass. So far, a team of graduate students under the direction of University of Washington’s Dr. Tom DeLuca have been assembled to plan the project. Field sessions will begin soon, and additional funding is being sought to make the most of the opportunity. The third and fourth grant projects are headed by the Underwood Conservation District, as it first attempts to quantify the benefits of adding compost to vineyards and orchards, and secondly determines the benefits of biological tillage on overgrazed and degraded pastureland. 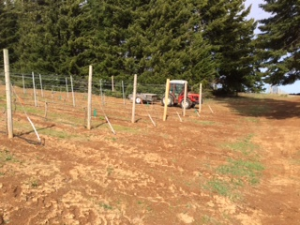 Soil monitors will be installed to a vineyard and an orchard to measure the effects of compost on water retention, organic matter and beneficial microbes. On the over-grazed pastureland, a deep-rooted cover crop will be planted then assessed for soil quality and cost savings on feed costs. Thus far, compost and soil monitoring sensors have been applied to one vineyard, and an orchard site has been selected and mapped. The pasture project is progressing well, with two fields divided into control and treatment areas, baselines soil samples collected and no till drill and seeding scheduled. The second of five WA Soil Health Committee grants was awarded to the Washington Environmental Council for the Nisqually Community Forest Pilot. The project would demonstrate and champion longer rotation and forest soil protection practices. Such practices should create a slew of benefits to local ecosystems; from improved water quality, quantity of endangered species and increased carbon sequestration to improved forest resistance to drought, fires and insects. As part of their project, the WEC also hopes to distribute the Visualization of Ecosystems for Land Management Assessment (VELMA) developed with the Environmental Protection Agency and the Department of Natural Resources. The WEC is currently working with local partners to develop their forest management plan, which they hope to eventually share with other groups establishing sustainable forest projects, encouraging local landowners to sign on to the Nisqually Community Forest Plan. In light of the success and promise of VELMA plans, WEC is also working with the Department of Ecology to open up Clean Water Funds to landowners who employ sustainable forest practices. The Washington Soil Health Committee is involved in all kinds of advocacy and support for groups doing awesome things across the state! In late February, we co-sponsored an event called the Direct Seed Workshop. 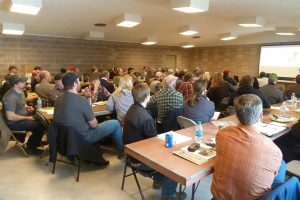 Farmers, agricultural experts and concerned citizens came out to Hartline, Washington to hear local speakers remark on Soil Health, Conservation Tillage, Cover Crop Trials, and various other programs. 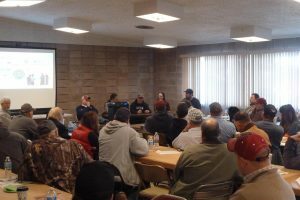 More than 81 people attended the event–74 were, themselves, growers. The crowd was diverse, representing residents of Grant, Okanogan, Lincoln, Adams, Douglas and Kittitas Counties. Of the five speakers at the event, three are members of Washington State Soil Health Committee. Of particular interest at the workshop was the Farmed SMART Certification program. Proposed by the Pacific Northwest Direct Seed Association, the program, when implemented, would allow Direct Seed to audit Farmed Smart producers to improve direct seeding practices. The program is beginning on a small scale on irrigated farms in Grant County. By popular demand, the Soil Committee will be participating in a Field Day in the Hartline area this July, demonstrating direct seed equipment in action. Stay tuned to the Soil Committee website and social channels for more details. What’s up with the soil in Foster Creek? The first of the five grants awarded by the Soil Health Committee went to Foster Creek, where the Douglas County Soil Monitoring Program is being set up to provide long-term soil testing and monitoring for dryland agriculture in low precipitation areas. This information will then be used in an educational campaign with farmers in the area. Thus far, the Foster Creek Conservation District has formed a partnership with Soil Scientist Tabitha Brown from the Latah Soil and Water Conservation District; Tabitha has agreed to help draft a strategic plan for implementation of the soil testing. There are plans in place to purchase equipment from Dan Harwood of the Palouse Rock Lake Conservation District in order to conduct the tests. 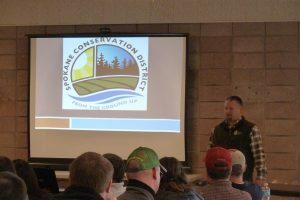 Foster Creek is partnering with WSU to develop Soil Health workshops to share their knowledge, and knowledge of best practices for soil health, with the community. As part of its founding mission and purpose, Washington State Soil Health Committee seeks to promote education, outreach, and facilitation of changes in land use which emphasize healthy soil and sustainable soil practices. In seeking this goal, the committee has awarded five grants to different projects currently in the process of changing land use. The committee sought projects that would demonstrate activities promoting soil health, and focus on conservation planning. Vineyards, forests, farms and pastures around the state will provide the laboratories for groups to test, document and publish strategies for improving soil health. These projects also have drawn in a wide assortment of partners, including WSU, UW School of Environmental Sciences, NRCS, Nisqually River Council, Nisqually Land Trust, Nisqually Tribe, Northwest Resource Group, Microbial Matrix Systems Inc, Domaine Pouillon Vineyard, Dirt Hugger, Forage, and DOE. It is our hope that the impact of these projects will extend far beyond the parties directly involved, as many of the projects also have an educational component. A project out of Foster Creek is seeking to educate local farmers on best practices for direct seeding with a series of workshops, while several of our other grant project groups will share their findings with local communities, conservation districts, departments of the government, Tribes, and other interested people. The projects are set to be completed by September 1st of this year–a comparatively short timespan, as the grants were awarded in December 2015. The ambitious crews behind the proposals remain undaunted and vigilantly working. The Soil Committee will be receiving periodic updates on each site. Stay tuned in to the Soil Committee blog and social channels to get the latest on these exciting soil health projects as they unfold and expand over the next few months!